The objective of La Randonnée Jimmy Pelletier 2019 is to raise a net amount of more than $200 000. This amount will be distributed to Patro Roc-Amadour, Adaptavie as in cities where the ride will be. The money will allow the purchase of adapted sport equipment as the realization of projects aiming at the development, socialization and accompaniment of people with disabilities. It will also serve for various projects in cities visited. Each cyclist must raise an amount of $1450 in donations and $600 in registration fees to participate in La Randonnée Jimmy Pelletier so to help organizations supported by the event. Our mission is to support two major causes. Adaptavie and Patro Roc-Amadour offer aid to people with physical and/or intellectual disabilities in the Capitale-Nationale and Est-du-Québec regions. 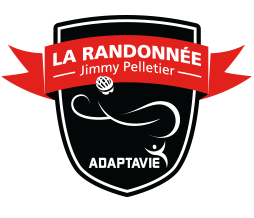 La Randonnée Jimmy Pelletier organizes benefit events and financial campaigns to allow the purchase of adapted sport equipment and the realization of projects aiming at the development, socialization and accompaniment of people with disabilities. Since 1980, this team of experts has offered a variety of physical and athletic adaptive activity programs, as well as respite programs for people with functional limitations. Adaptavie’s mission is to maintain, improve, promote, and prevent the erosion of the health and well-being of people with functional limitations. Operating in the heart of Limoilou since 1948, Patro Roc-Amadour is a community centre that welcomes thousands of people every year, including children, teenagers, people with a physical or intellectual disability, adults, and seniors. It encourages personal integral development through recreational activities and the Service d’entraide (support for disadvantaged people). It also offers an educational environment that complements school and home education.